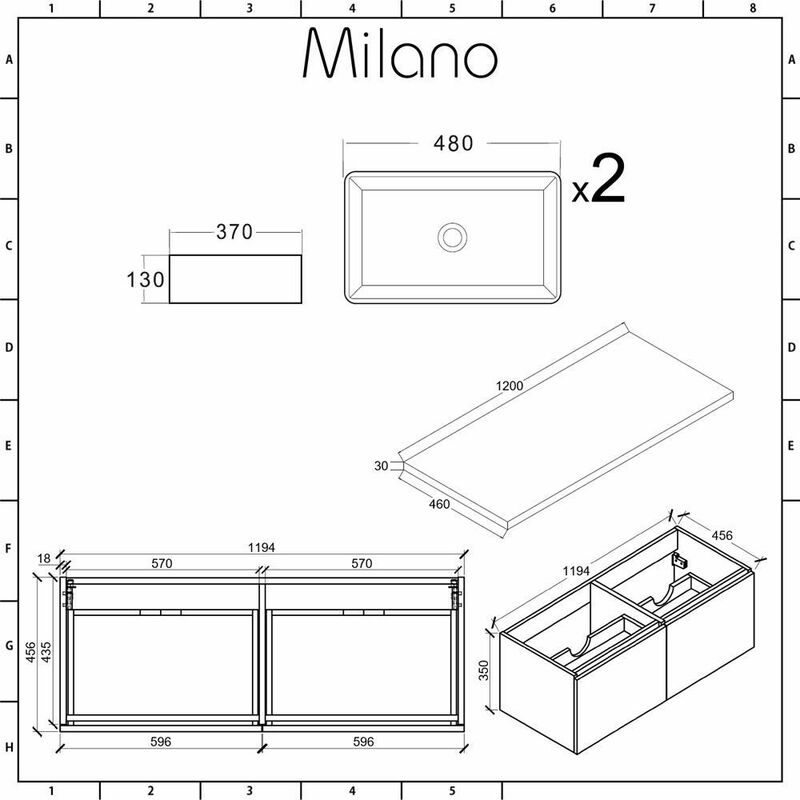 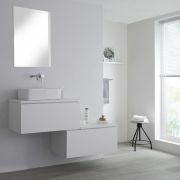 Refresh your bathroom and add practical storage with the modern wall-mounted Milano Oxley 1200mm vanity unit and matching basins. 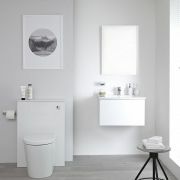 Create a minimalist look by storing your bathroom essentials discreetly in the two large push to open soft close drawers. 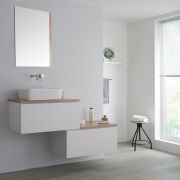 Manufactured from strong moisture resistant engineered wood and featuring matt white and golden oak woodgrain finishes, the Oxley vanity unit is built for long-lasting durability as well as style. 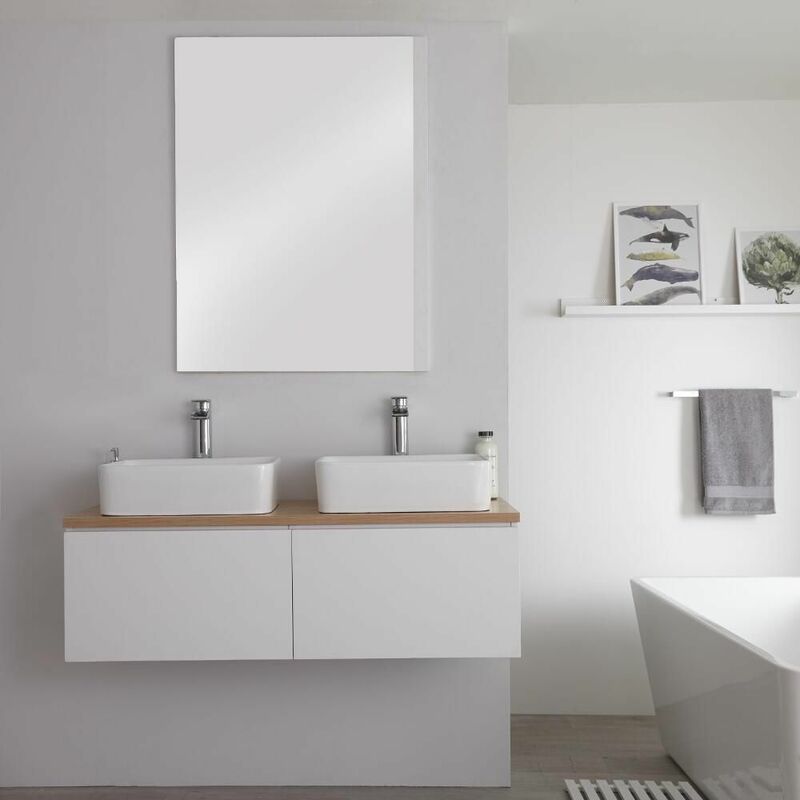 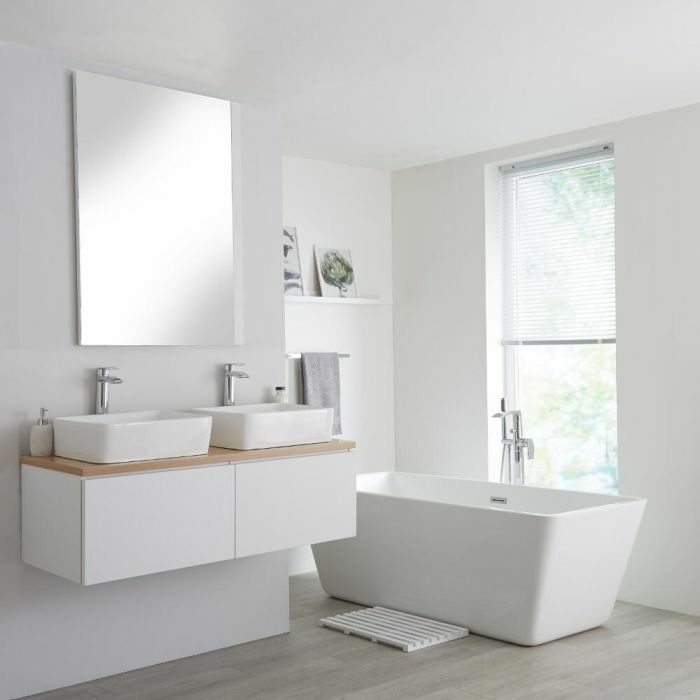 The look is enhanced by matching high quality ceramic rectangular countertop basins with easy to clean white glaze finishes, in a ‘his-and-hers’ style, leaving you with the decision of which wall-mounted or high-rise taps you want to use to suit your taste.